When it comes to dining at Shell Point, the possibilities are endless. Residents and their guests can explore culinary styles and a variety of cuisines at six restaurants each with their own distinct flavors, unique ambiances and spectacular views. 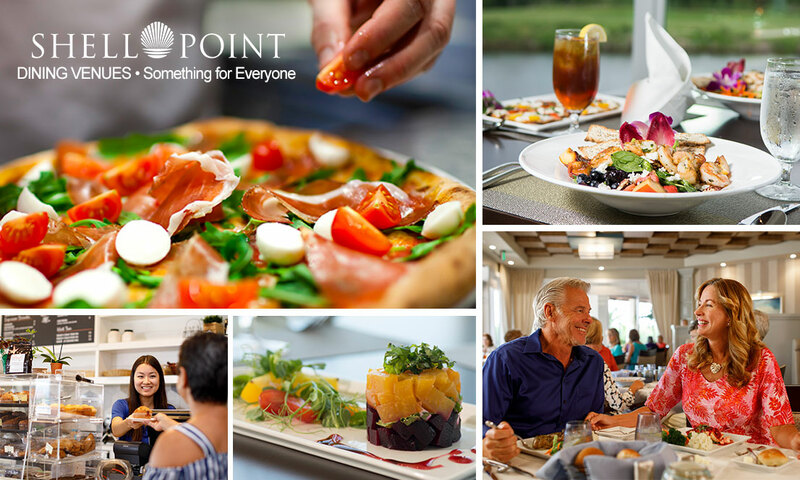 Shell Point embraces the Farm to Table concept, with each of the community’s dining venues incorporating fresh Florida ingredients and locally sourced produce into their menus. Whether you’re dining in, ordering to-go or preparing your meal at home, Shell Point offers you the complete freedom to choose. As a resident, you have the option of joining the Resident Dining Plan which offers a 15% savings on published prices at each restaurant. Casual? Formal? Gourmet? Whatever you are looking for, Shell Point has it. And the choice is all yours! A Resident Dining Meal Plan is available! 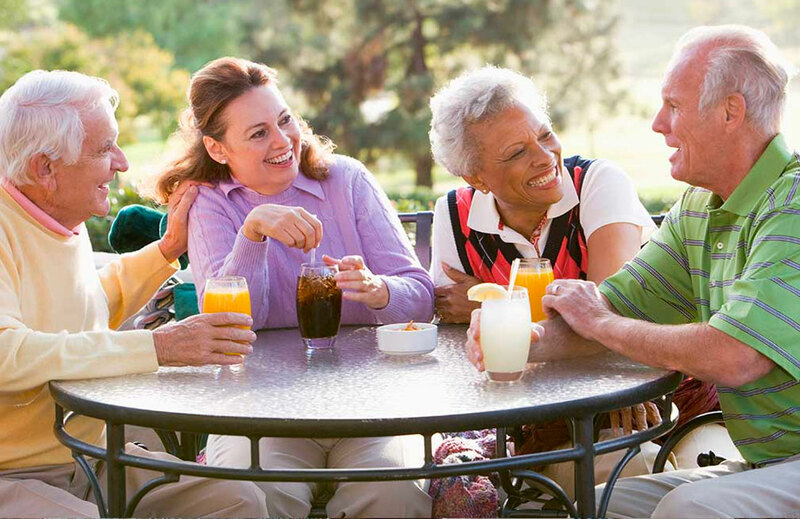 This unique program allows residents the opportunity to purchase meals at a discount, with the flexibility to use it at all Shell Point dining venues. On a $500 plan, get a 15% discount for a discounted cost of $425 with no expiration. if you haven't dined at Shell Point recently, you haven't dined at Shell Point! 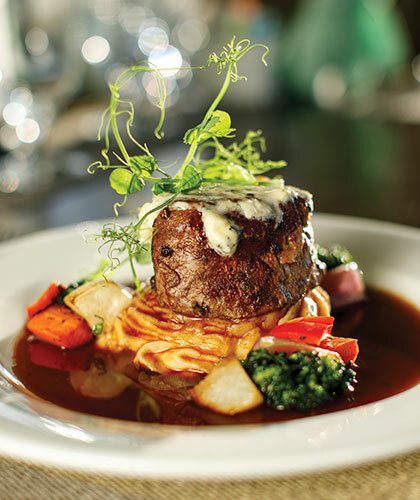 The Banyan Grille offers exceptional dining in a sophisticated setting with expansive views overlooking fairways of Shell Point’s championship golf course. The menu includes fresh seafood, perfectly grilled steaks, a variety of unique salads and chef offerings. A pastry chef delights residents daily with confectionary creations. Lunch: Monday - Saturday 11 a.m. to 2 p.m.
Dinner: Thursday and Friday 5 p.m. to 8 p.m. Lunch: Tuesday - Saturday 11 a.m. to 2 p.m. 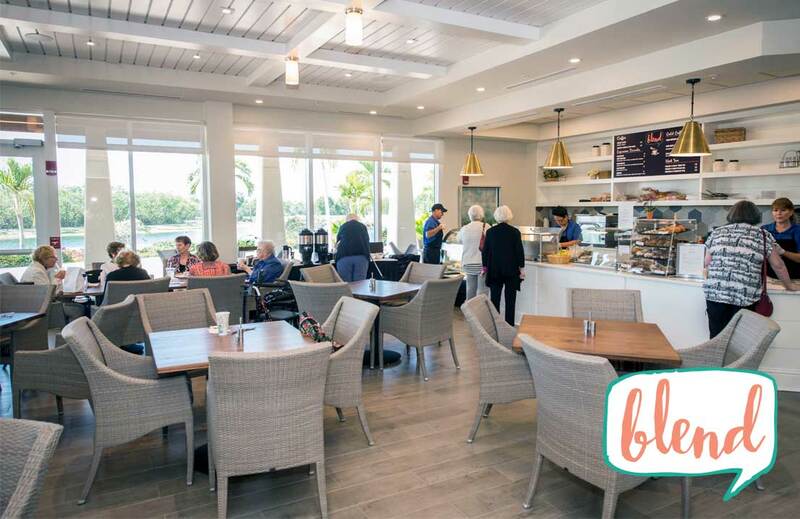 Located in The Woodlands Commons, Blend is the perfect place to enjoy the exceptional food and beautiful setting of Shell Point. Choose from their gourmet menu of breakfast and lunch items while taking in the bright, casual atmosphere of the Blend. 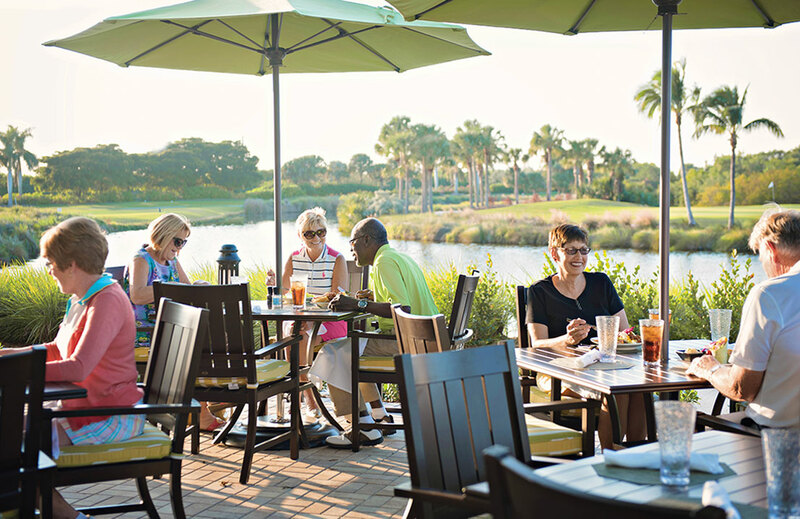 Breakfast and Lunch: Sunday - Friday 8 a.m. to 2 p.m.
Conveniently located at the Coastal Commons, overlooking Shell Point’s golf course, Breezeway Café offers quick, tasty bites to go for golfers looking to rejuvenate after the front nine and tackle the back holes with gusto. You can also enjoy shaded patio seating with sprawling views during a relaxed breakfast or midday meal at this charming café. Breakfast and Lunch: Daily - 9 a.m. to 2 p.m. 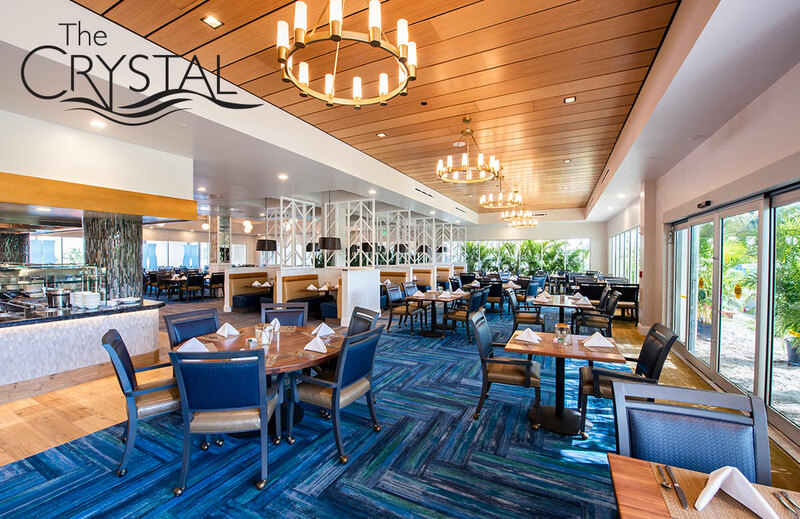 Shell Point’s largest restaurant, The Crystal is located on The Island and features a newly renovated interior and exterior with a modern, contemporary feel that redefines coastal dining. The Crystal now features tropically-inspired décor that highlights its coastal location. A new outdoor patio offers al fresco dining with sparkling waterfront views. The revitalized menu includes citrus salads, sandwiches, fresh seafood and more. Enjoy artisan pizza cooked on an open wood-fire oven, Buffet-themed nights and Sunday brunch. Lunch: Monday - Friday 11 a.m. to 2 p.m.
Dinner: Monday - Friday 4 p.m. to 7 p.m.
Sunday Brunch: 10:30 a.m. to 2 p.m.
Carryout orders may be placed by calling (239) 454-2199. On The Island, casual dining at the Island Café is available for breakfast, lunch and dinner seven days a week. Pop in for made-to-order dishes, croissants and other pastries. At lunch, the grill sizzles with good old-fashioned American burgers and fries, custom deli sandwiches, fresh fruits, and hand-dipped ice cream. Breakfast, Lunch and Dinner: Daily - 7 a.m. to 7 p.m. The Palm Grill features a unique ambiance for fine dining in The Woodlands. Attentive personal service compliments the delicious meals served in this beautiful lakefront setting. One-of-a-kind appetizers, chef’s specials and desserts set this dining experience apart from all others. A private dining room is available for hosting special get-togethers with family and friends. Dinner: Tuesday - Saturday 4 p.m. to 8 p.m.
Carryout orders may be placed by calling (239) 454-2059.